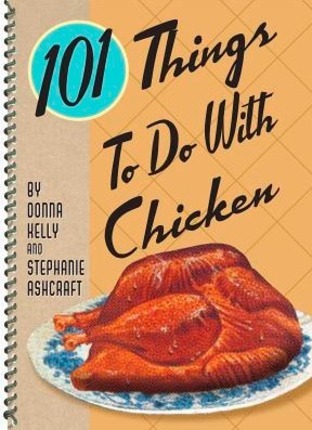 101 Things to Do with Chicken is a must have for the busy kitchen. Try delicious recipes such as: Blue Cheese Chicken Dip, Curried Chicken Salad, Grandma's Chicken Noodle Soup, Zesty Chicken Burgers, Cranberry Chicken Spinach Wraps, Garlic Lover's Roast Chicken, Balsamic Chicken Stacks, Mediterranean Chicken, Asian Lettuce Wraps, and Chicken Alfredo Pizza. Fun Tip: The average American eats over 80 pounds of chicken each year! Donna Kelly was born and raised in southern Arizona. Her books include French Toast, 101 Things to Do with Canned Soup, 101 Things to Do with a Tortilla, 101 Things to Do with Chicken, and 101 Things to Do with Tofu. She lives in Provo, Utah. 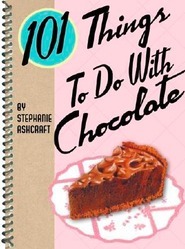 Stephanie Ashcraft, author of numerous cookbooks including the best selling 101 Things To Do With A Cake Mix, lives in Salem, Utah, with her husband and 5 children. Cooking is her hobby gone out of control. She and her books have appeared in numerous television programs, radio shows, newspapers, and magazines nationwide. She loves teaching people how to save time and money in the kitchen. Stephanie has a bachelors degree in Family Science from Brigham Young University. This cookbook is great! Small, easy to turn pages. Great variety of recipies! I love it! What a neat cookbook! I love the format of the recipies and the fact that it is spiral-bound so you can flip through the pages easily. Great recipies, too!